LOHRI is a cultural celebration mainly observed in the Punjab and by Punjabis around the globe. Originally, it was celebrated on the winter solstice, being the shortest day and the longest night of the year. However, it gradually shifted towards early January to coincide with the beginning of the harvesting of the sugarcane crop. The old tradition still continues in the Punjab. However, overseas, Punjabis have modified it greatly. For example in Canada, in view of female foeticide, and as a symbol of equality between boys and girls, it is considered a major celebration for the community. The individuals and organizations working for the noble task of equality must be commended for their efforts in this regard. Every child, whether it is a boy or a girl, is a gift from God and his / her birth must be celebrated with equal enthusiasm. 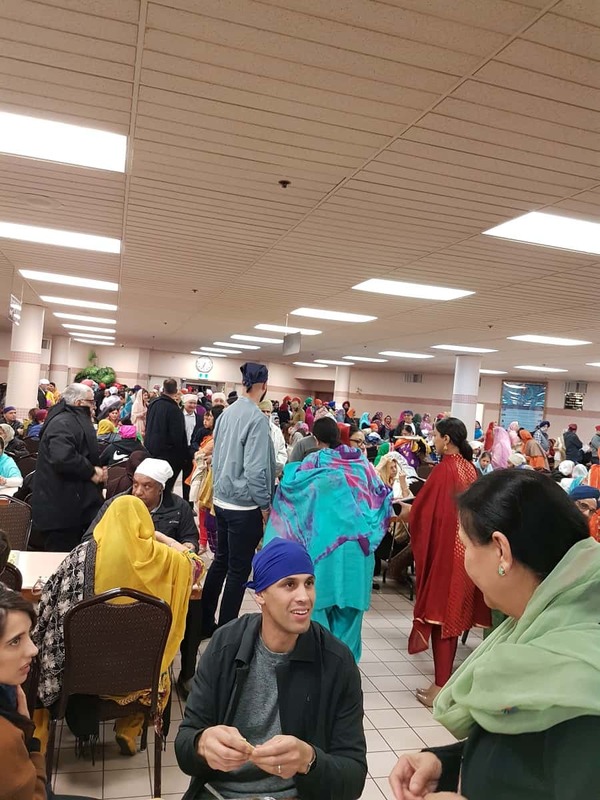 During this week there have been a lot of celebrations in this regard, including one at India Cultural Centre of Canada’s Gurdwara Nanak Niwas (#5 Road) in Richmond. Sunday, January 13 was the official day for Lohri. 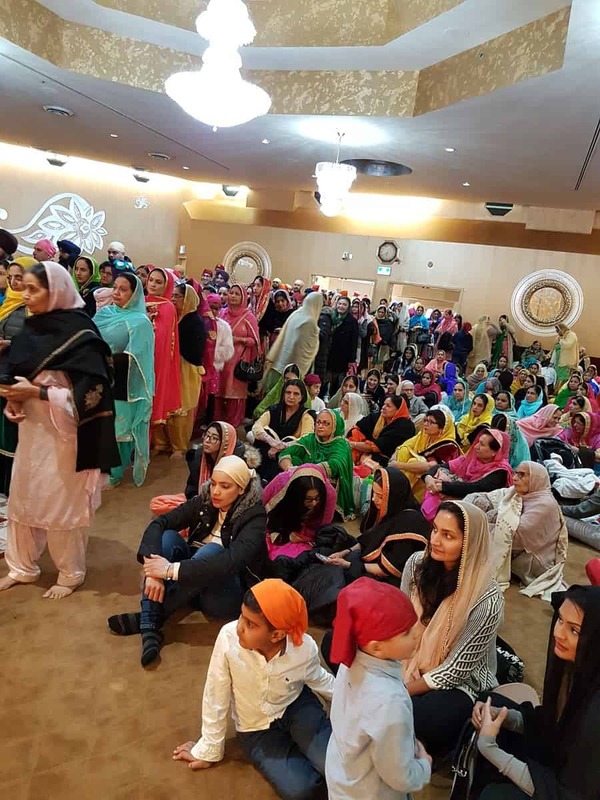 At Gurdwara Nanak Niwas, a number of volunteers, including a large number of dedicated women closely associated with the gurdwara, started getting ready for Lohri a few days earlier. They ordered boxes of groundnuts (Moongfali) and “rarian.” Once the supplies were at the gurdwara, they started preparing hundreds of bags to hand out to the members of the congregation on January 13. As the day arrived, these enthusiastic volunteers got busy preparing langar for the congregation. Sixteen families, who were blessed with newborn babies – boys and girls – and one newly-wed couple joined in the celebration by making generous financial donations. It was great to see a very large number of people join in the celebration on January 13. It was a festive atmosphere all around the gurdwara. Sian Johal, Maximillian Major Singh Rai, Maya Kaur Sahota, Meela Bella Kaur Aujla, Jack Singh Binning, Jorawar Manraj Singh Sandhu, Nahar Singh Bains, Neha Kaur Samra, Sania Kaur Grewal, Joga Singh Grewal, Nihal Singh Lali, Barial Mahal, Dackson Dhillon, Ramneek Kaur Kalkat, Jasleen Kaur Kandola, Bani Kaur Samra and Jora Singh Deo. The Liddar and Brar families celebrated the first wedding anniversary Lohri of Harjeev Singh Liddar and Ravjot Kaur Brar. Our priests led by head granthi Giani Tarlochan enchanted the congregation with their melodious kirtan and recitation of the Gurbani. The stage was managed by Secretary Balwant Singh Sanghera. After the kirtan, the congregation savoured delicious vegetarian langar and then enjoyed the bonfire at the back of the gurdwara premises. On behalf of the Gurdwara Management Committee, India Cultural Centre of Canada’s Gurdwara Nanak Niwas President Balbir Singh Jawanda and Sanghera congratulated the families of the newborns and thanked all of the volunteers, the ladies who did so much, members of the congregation and the participating families for making the Lohri celebration such a great success. Info and photos by Balwant Sanghera, retired school psychologist and community activist.